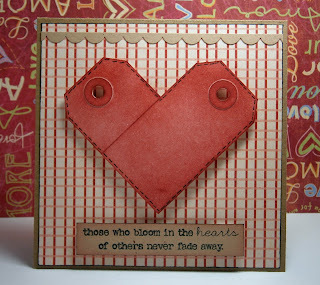 "Those Who Bloom In The Hearts of Others..."
Very cleaver and creative! TFS! Better late than never as they say.....and I am so please you made it cos I just love your card. Your tag heart is fabulous. Eek! How cute is that tag heart! Might have to case this down the line! Love the card. 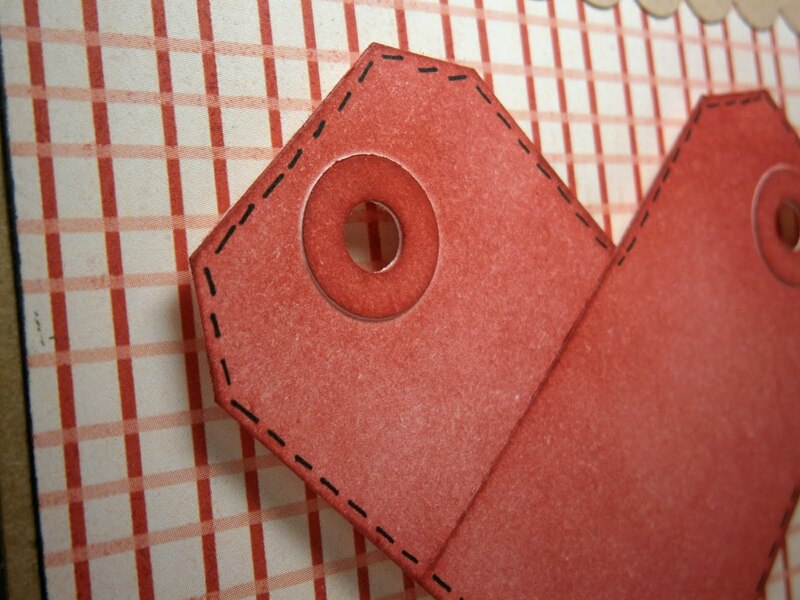 Using two tags to make the heart is a great idea! NO WAY! you are a genius! very nice card... what a good idea to take tags to make a heart!!! Wow..love your creative use of tags! Never even thought to do that...and it looks amazing! Great use of tags! so clever. And I was late too. Shaking head with my demanding corporate nightmare. Fridays are slave days for me lately. I love those tags as a heart, how clever! I love the creativity, really nice! Ha, I think I have been there. This is so creative! You have the BEST ideas. oh my this is just briliant Kelly!! love the tag heart shape.. you ROCK girl!! Wow, I love it. I am glad you woke up in time to share. It's a very nice card and a good idea. Such a cool card :) Love how you made the heart from tags! I'm sitting here with insomnia at 4am finally going through FWF and started going back through your blog. My heart goes out to you sweetie...I lost my Mommy in 2007 and that first year was SO hard. Crafting and blogging helped me through the healing process and as I sit here and cry for you and the pain you are feeling, I'm sending so many hugs your way for continued strength and healing. LOVE it, Pryn! That tag idea is so neat!!! Hey, girlie! I love the creative use of the tags! So original! Just popping in to say "hello"! That is so cool...I didn't recognize the heart as tags right away. Love it! I think this is SUPER! I have a blog award for you; check it out: http://sparklewithin.blogspot.com/2012/01/liebster-award-passing-it-on.html.